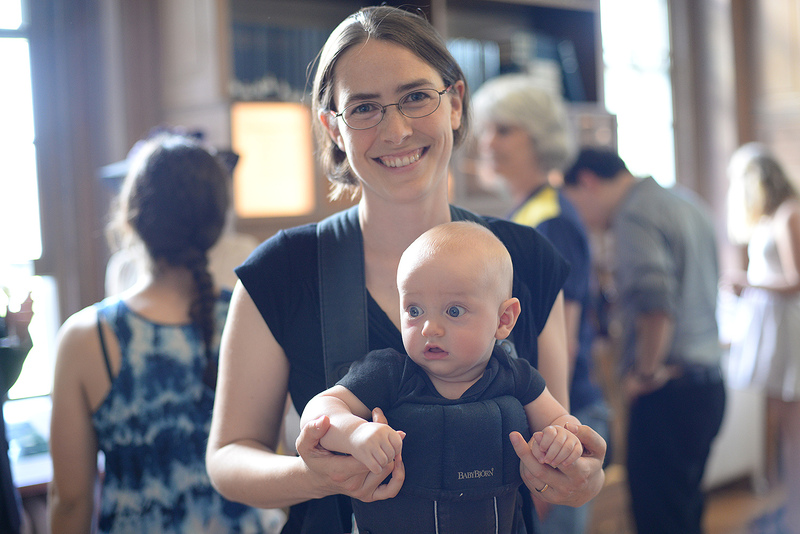 Meredith Hughes, assistant professor of astronomy, and her four-month-old son, Soren, attended the Van Vleck Observatory Centennial celebration. 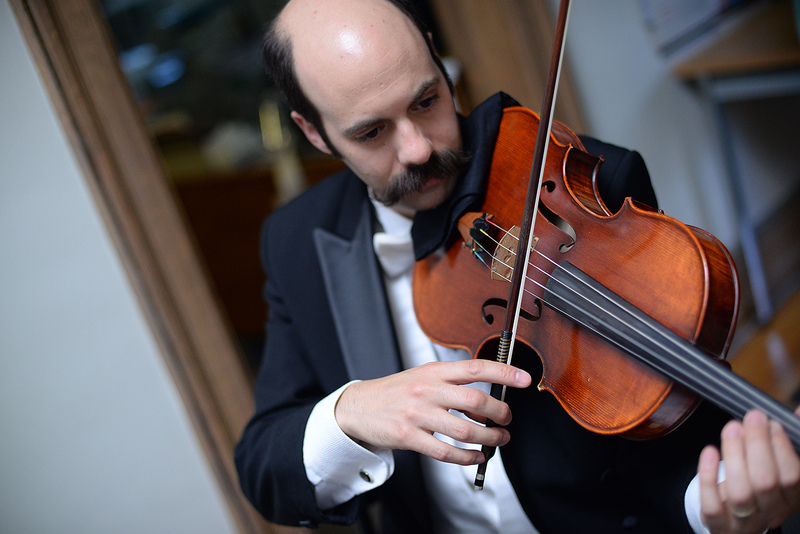 The West End String Quartet provided music of the 1916 era. 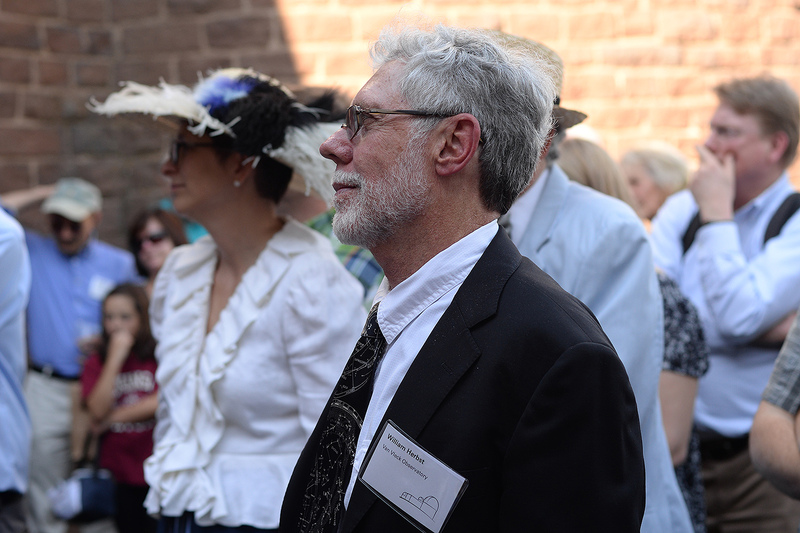 Ellen Nerenberg, dean of the arts and humanities, the Hollis Professor of Romance Languages and Literatures, and Lutz Huwel, professor of physics, were among the attendees who dressed as famous astronomers in period costume. All the costumes were designed by Cybele Moon, visiting assistant professor of theater. 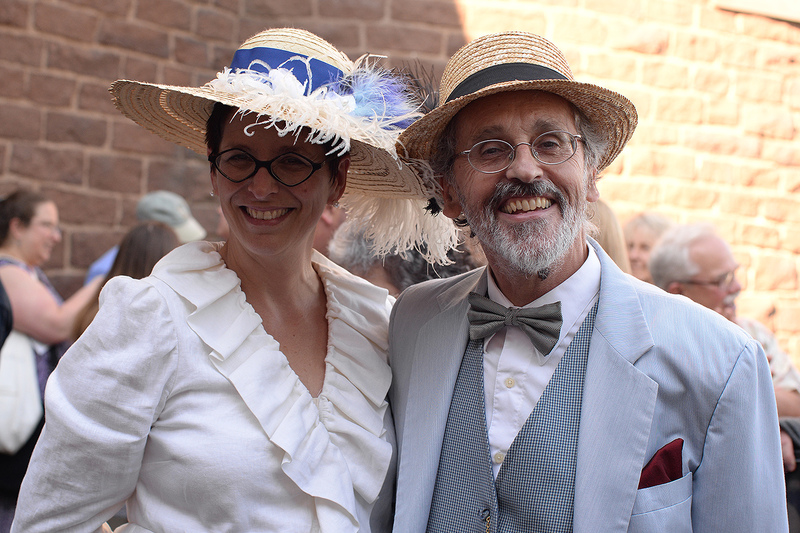 Nerenberg is dressed as Cecilia Payne-Gaposchkin and Huwel is dressed as George Ellery Hale, both notable astronomers who visited the observatory. 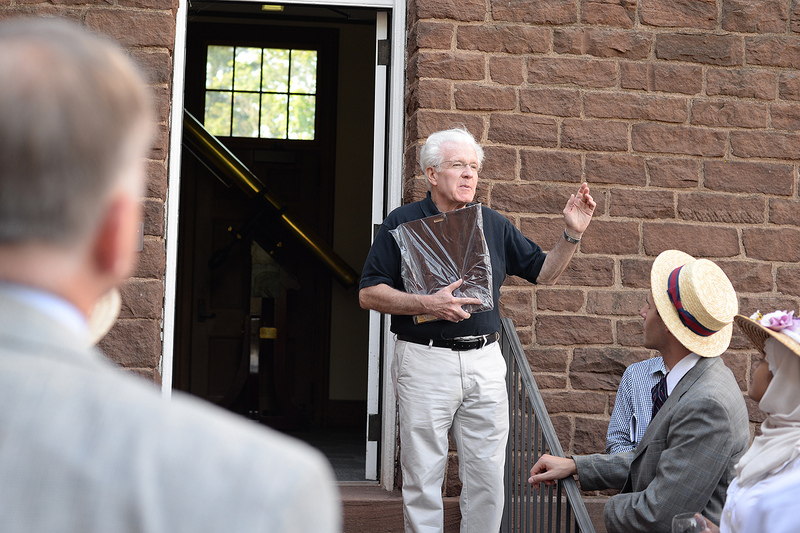 Ed Moran, professor and chair of astronomy, director of the Van Vleck Observatory, read a short speech re-dedicating the Van Vleck Observatory to its original mission of astronomical research, education and public outreach. Debra Elmegreen, the Maria Mitchell Professor of Astronomy at Vassar College and a past president of the American Astronomical Society, brought greetings from the society and a letter of congratulations from the current president, Meg Urry of Yale University. 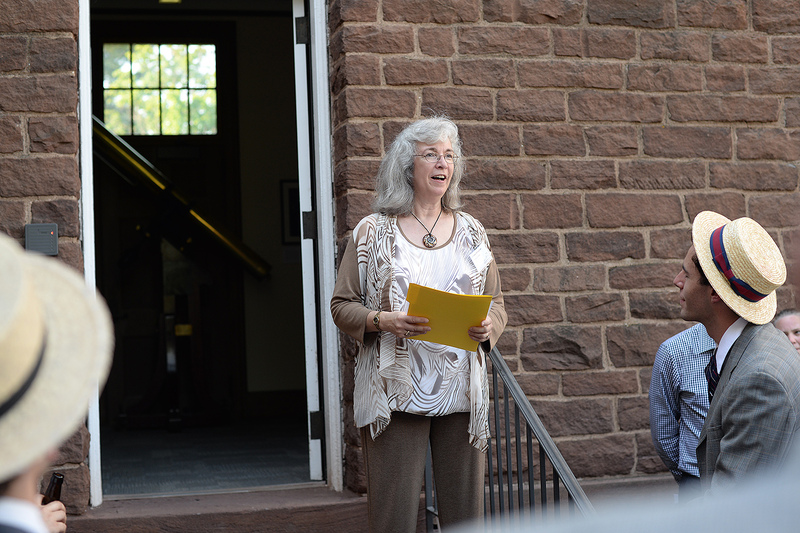 She commended the staff, students and community partners of the observatory for 100 years of service to astronomy. 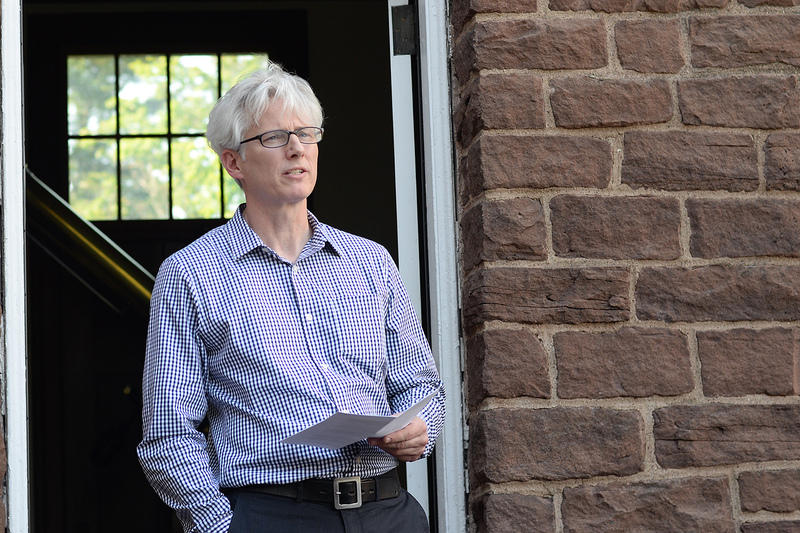 Gerald Daley, a member of Middletown’s Common Council, read a proclamation from the Mayor proclaiming June 16, 2016 as Van Vleck Observatory Day in Middletown. 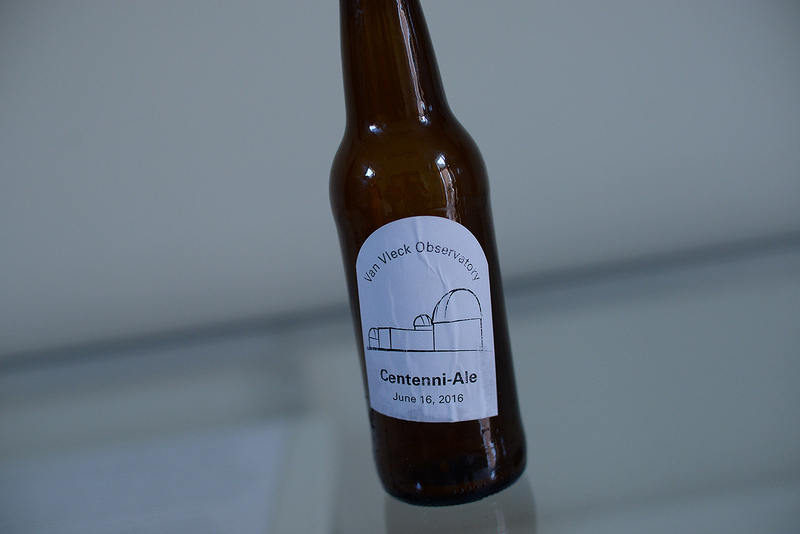 Roy Kilgard, support astronomer and research associate professor of astronomy, brewed Centenni-Ale for the occasion. 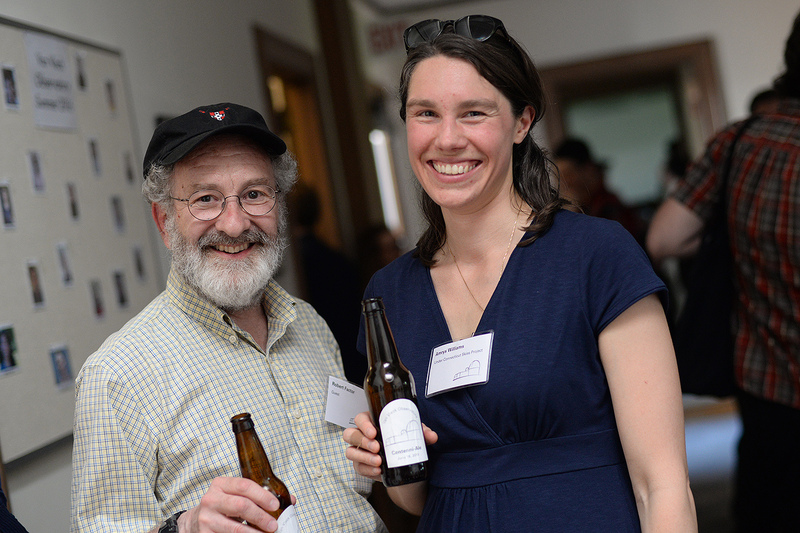 Guest Robert Factor and Amrys Williams, visiting assistant professor of history, enjoyed the Centenni-Ale. 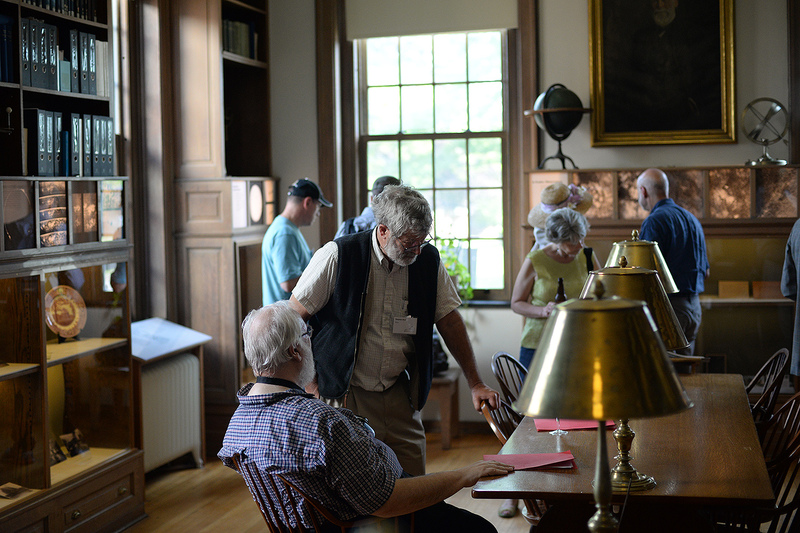 Guests visited the historical exhibit commemorating the observatory’s centennial in the building’s library. 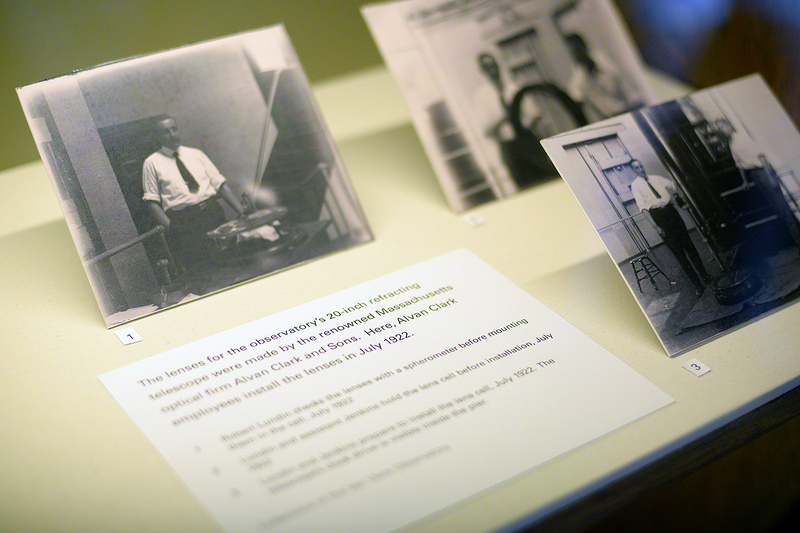 Photographs on display in the exhibit included shots of employees of the renowned optical firm Alvan Clark and Sons installing lenses on the observatory’s 20-inch refracting telescope in July 1922. 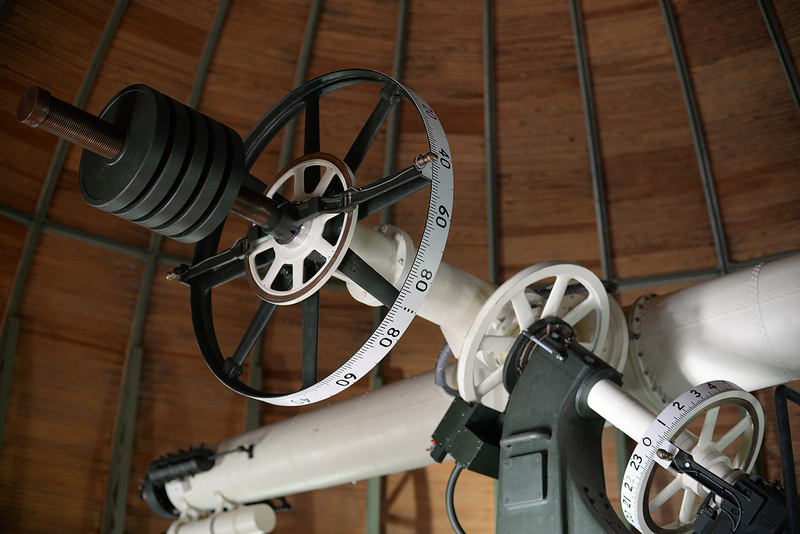 Also on display is the observatory’s guestbook, which was kept from 1916 to 1942 and signed by many noteworthy astronomers from all over the globe.